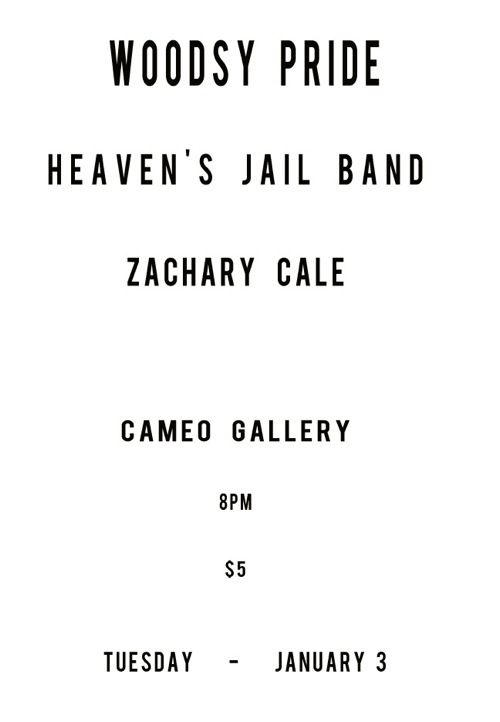 Please join me for my first performance of the new year, taking place on Tuesday January 3rd at The Cameo Gallery. I’ll be opening the night with a solo set of songs, most of which will be included on my forthcoming record. Following me will be heartland dusters, HEAVEN’S JAIL BAND including members of Virgin Forest, and Redhook Brooklyn’s pride and joy, WOODSY PRIDE.